The Bb. Pilipinas International 2014 Bianca Guidotti was happy and emotional on her press conference send-off on Thursday, Oct. 23. Bianca Guidotti will represent the Philippines in the upcoming Miss International 2014 in Japan. Aside from Bb. Pilipinas International 2014, she was accompanied by co-beauty queens such as, Kris Tiffany Janson (Bb. Pilipinas Intercontinental ), Yvethe Santiago (Bb. Pilipinas Supranational), Parul Shah ( Bb. Pilipinas Tourism ), Laura Lehman (Bb. Pilipinas 1st Runner-up), Hannah Ruth Sison (Bb. Pilipinas 2nd Runner-up), and Mary Jean Lastimosa (Miss Universe Philippines). They were there just to support and wish Bianca Guidotti prior her flight going to beauty pageant's venue. Guidotti become emotional when the press people asked her about a possible back-to-back title for the country. The current queen of Miss International is Ms. Bea Rose Santiago. And Guidotti's answer was, "she will do her best." Bianca Guidotti was a graduate of European Studies from the Ateneo de Manila University. She knows 4 international languages such as English, Spanish, Portuguese, and Japanese. Let us support our kababayan to her journey to become Miss International 2014. 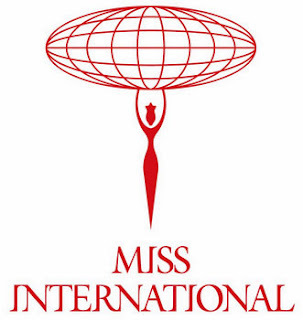 The Miss International 2014 pageant will be held on November 11. For more Miss International 2014 related information, Please bookmark this page for updates and you may also share this post to your friends. Comments or suggestions about "Bianca Guidotti flies to Japan for Miss International 2014" is important to us, you may share it by using the comment box below.